Fife, since the Industrial Revolution has always been associated with heavy industry. The coal faces since the eighties have all but gone, some of them being built upon in recent years with private 'box' housing. This however is a wee jewel in the Kingdom's crown, a reminder that the hydrocarbon chain is alive and kicking. 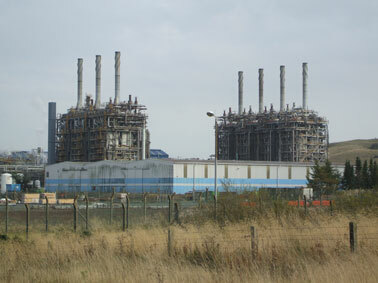 This is Mossmorran, Fife's Ethylene Plant, courtesy of ExxonMobil and Shell.